How you doing guys. 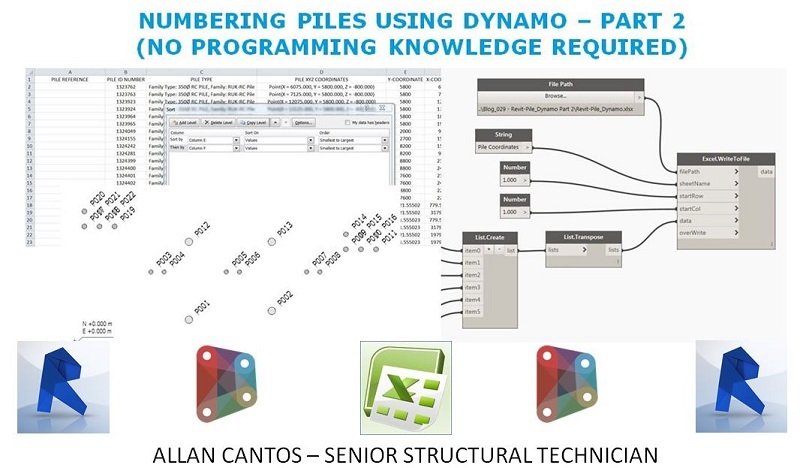 I hope you learned something with my first 2 parts about numbering piles using Dynamo. 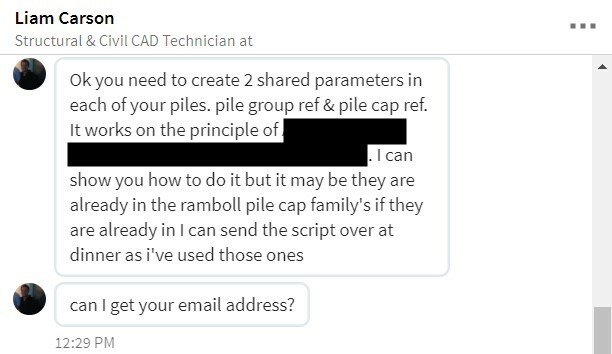 A week after I posted about numbering piles using Dynamo, I’ve got a LinkedIn private message from my former colleague who happened to be looking at similar workaround when he was still in the company and with his permission; it’s alright for him to add this to my blog. Apologies for not sharing this with you right away, I was just having lots of things to do this past few weeks. One of those was preparing for the CITB exam for 2 weeks of answering mock tests and reading about CDM Regulations 2015. 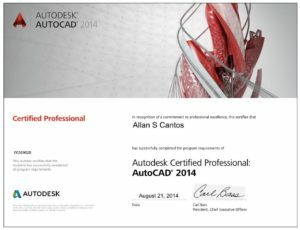 Here is my Test Result by the way and a bit of information about CDM Regulation 2015 for you to look at should you wish to demonstrate that you have the basic understanding about Health and Safety in the construction in the future. 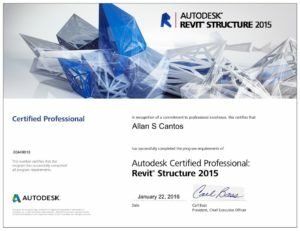 I want to give Mr Liam Carson (https://www.linkedin.com/in/liam-carson-5baa58112/) a shout out. On behalf of other readers who will be reading this blog, I personally thank you, Mr Carson, for sending me a copy of the script that you did for me to look at. You are not only helping me to learn other alternatives but you also helping others to learn as well. Thanks for sharing. By the way, here are the messages from Mr Carson that I received. I covered the other name mentioned because I don’t have his permission yet to be part of this blog. 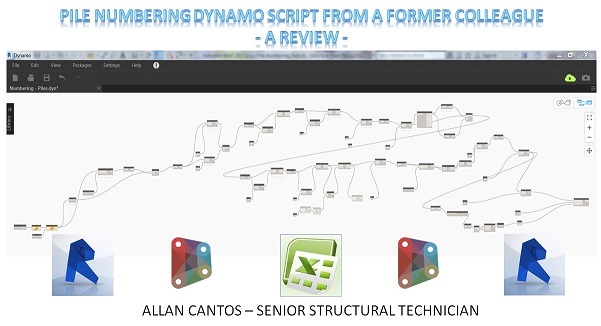 Now, let me jump to Dynamo and open the first script which is called “Numbering – Piles.dyn”. 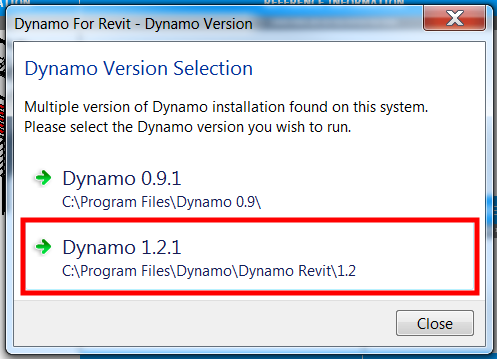 Once again, if you have two or more versions of Dynamo installed, please always select the latest one. Let me take a screenshot of my version to check how many nodes I used to complete the script. 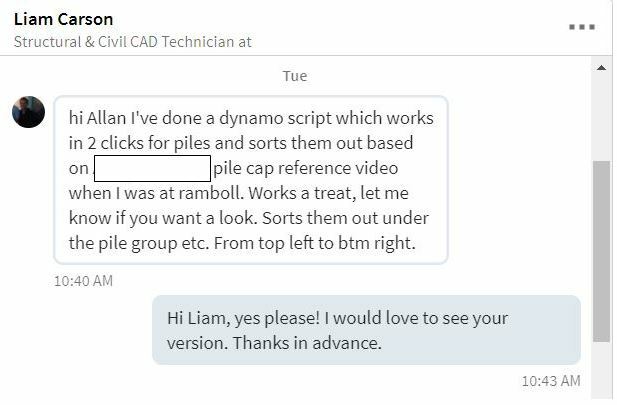 Now let me take a screenshot of the script I received from Mr Liam Carson. Here is for numbering pile. 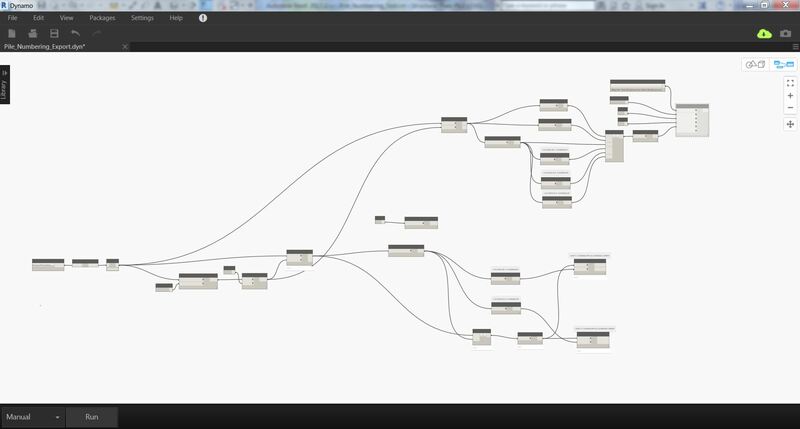 Looks there are lots of nodes to looks at. Wait, what’s that thing on “YELLOW”? Let me have a closer look. Those are third party nodes, which I have no idea yet from which package they belong to. 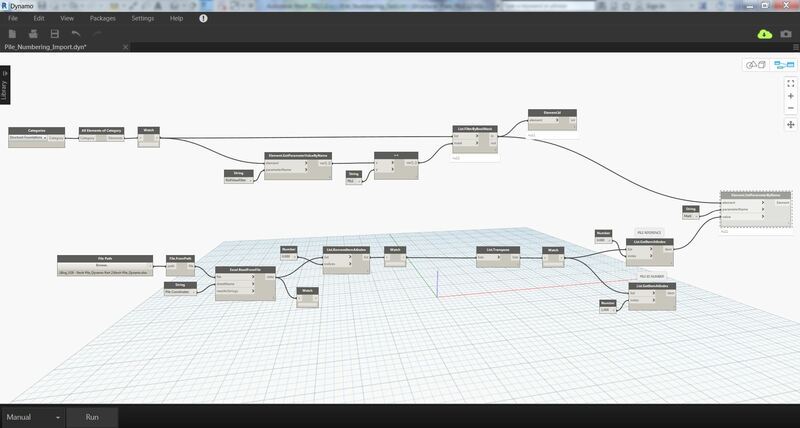 Obviously, I do not have those third-party package installed on my Dynamo yet and therefore this script will not work unless I installed those package first. Let me have a look for the other script I received for numbering pile caps. I still need to get my head around the workflow to understand the process of how this script works. 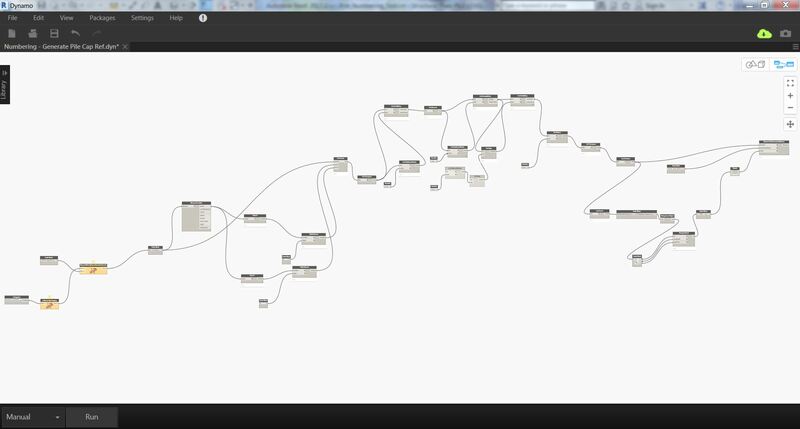 Basically, there are lots of sorting nodes happening in the script. However, I’ve got two nodes that need to resolved first which, similarly to the numbering pile script, will not work too unless I have those package installed. 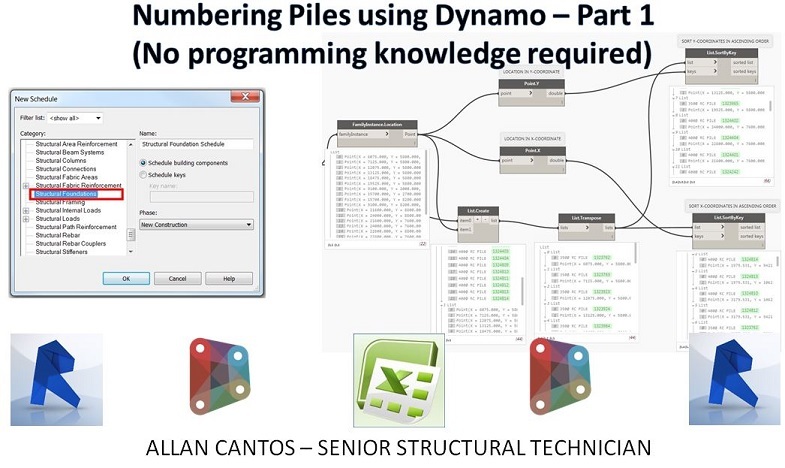 Ok, let me check the warning message for both Dynamo files. Looks like those nodes came from a package called “Beaker”. Let me try to search the package. 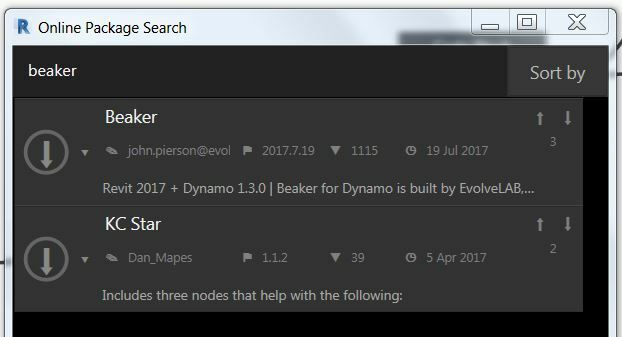 And for the sake of curiosity and for testing, I’ll install the package because I want to find out how this script works and after downloading the “Beaker” and restart Dynamo, all is good to go now. 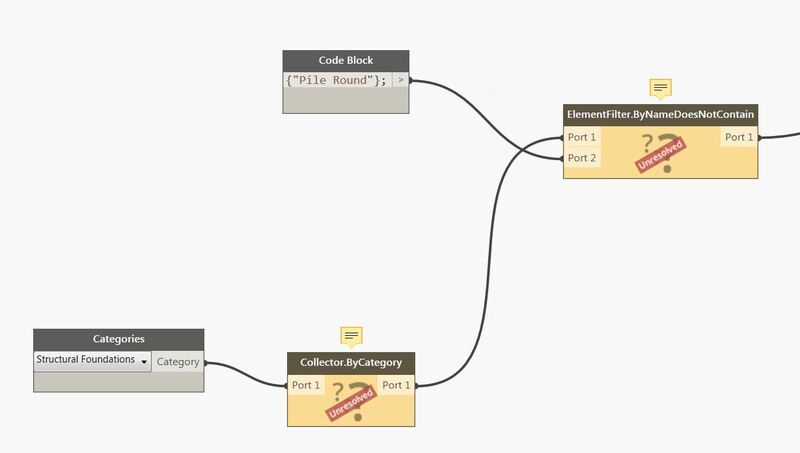 By the way, not all companies are encouraging their Dynamo users to use third-party packages so you need to check first from your Dynamo User Group within the company, if any, the list of approved packages before you start downloading packages. 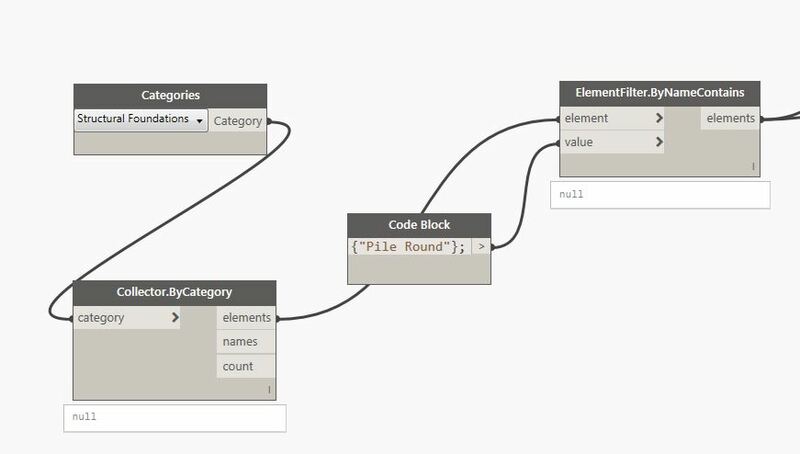 There are so many nodes to look at but for now, I’ll change the string under “Code Block” from “Pile Round” to just “PILE” and hit “Run” and see what will happen. Fantastic! Here is the first pass and I’ve got no error! Good job Mr Carson for building the script. 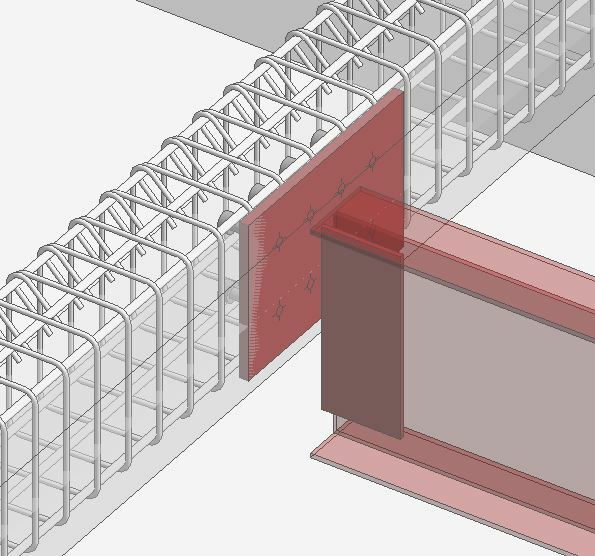 Let me hit “Run” and here is the result on Revit. I still have to investigate why the middle part did not sort properly. When I get the chance, I’ll try to simplify the process and I’ll post an update to this topic once completed. I can’t promise when will this be completed because at the moment, I am busy until the end of this year. However, I’ll try my best to find some time to finish the test before the end of this year. Have a nice day everyone and once again, thank you, Mr Liam Carson. 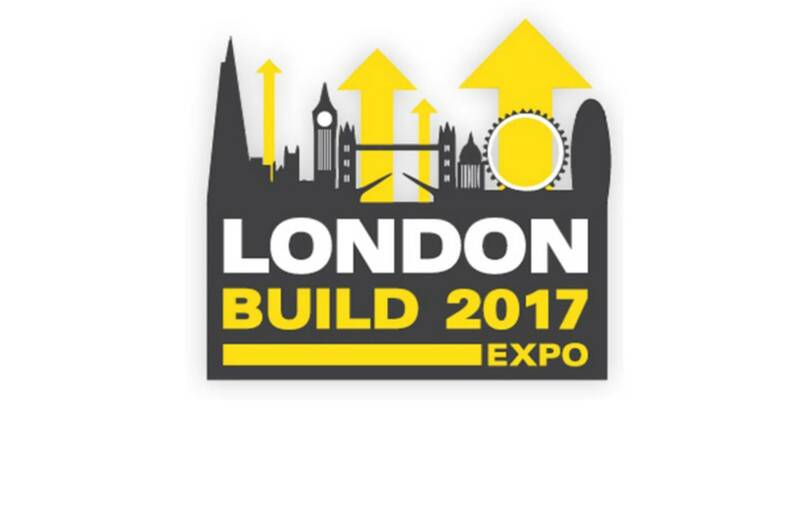 The London Build Show & Expo takes place on Wednesday and Thursday this week at the Olympia, London. 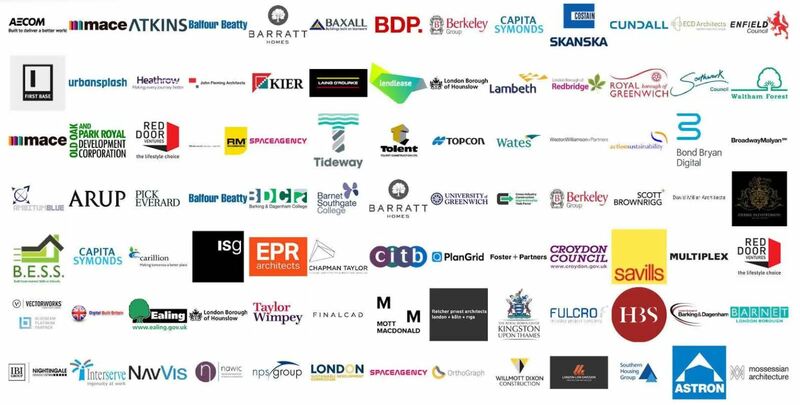 160+ Conference speakers – ​7 different summits linked to construction, design, BIM, sustainability, architecture, fire safety, property and more. Hello there! 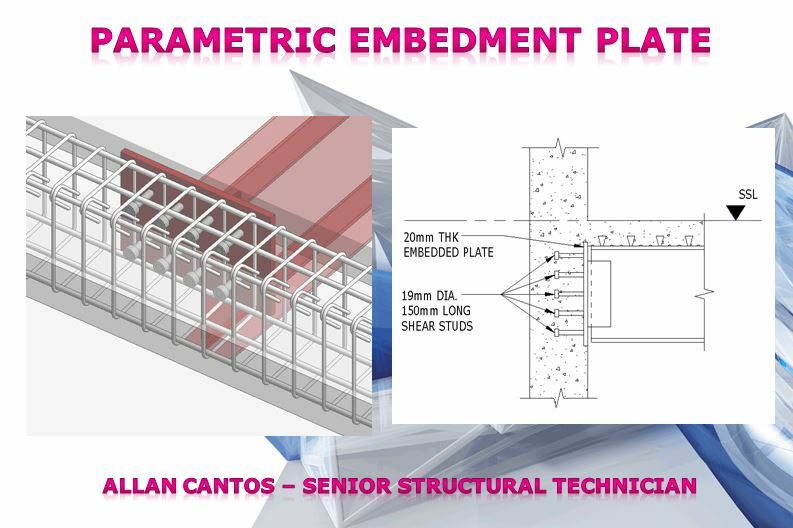 Here is a quick video clip of the parametric embedment plate that I have created for the current project I am working on. And here is the detail. 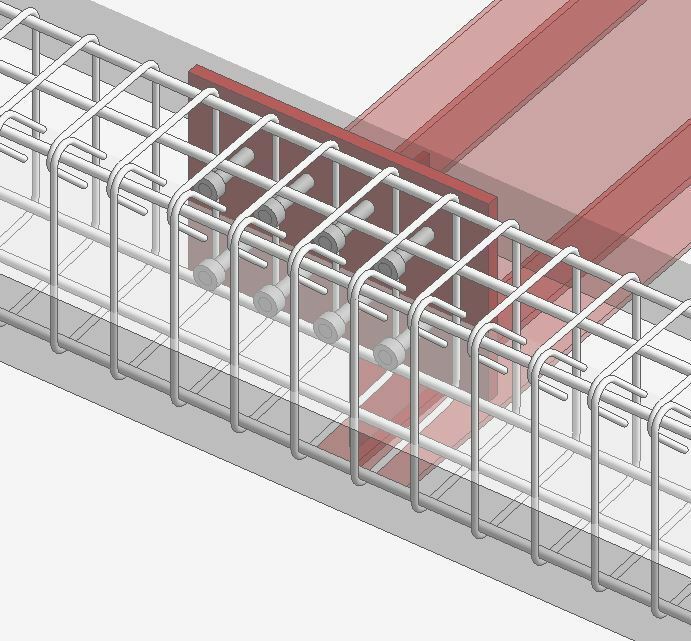 No 2D detail lines being added and drawn manually to create this section. 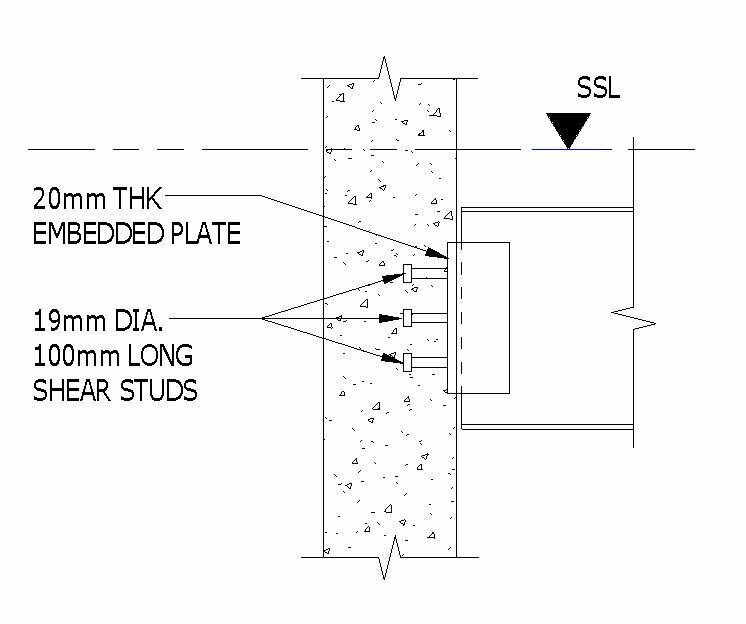 Everything comes from 3D elements with the exemption of the break lines and text annotations. 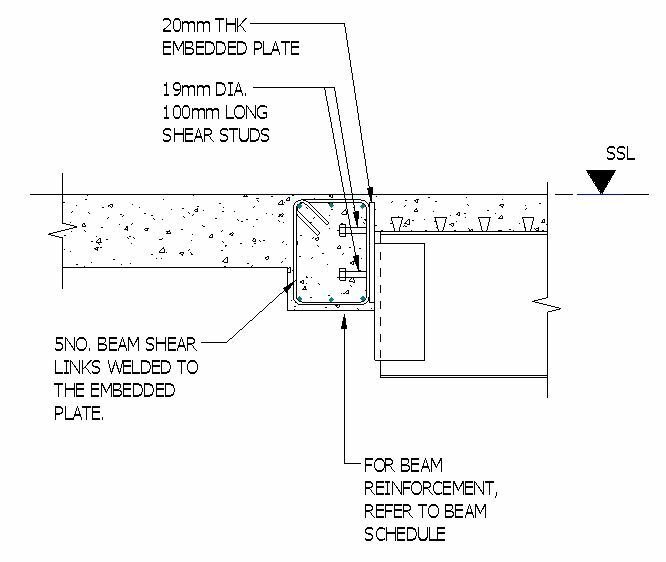 Here is the one that connects to the beam. Similarly, even the reinforcements from the section were not drawn using 2D detail lines. 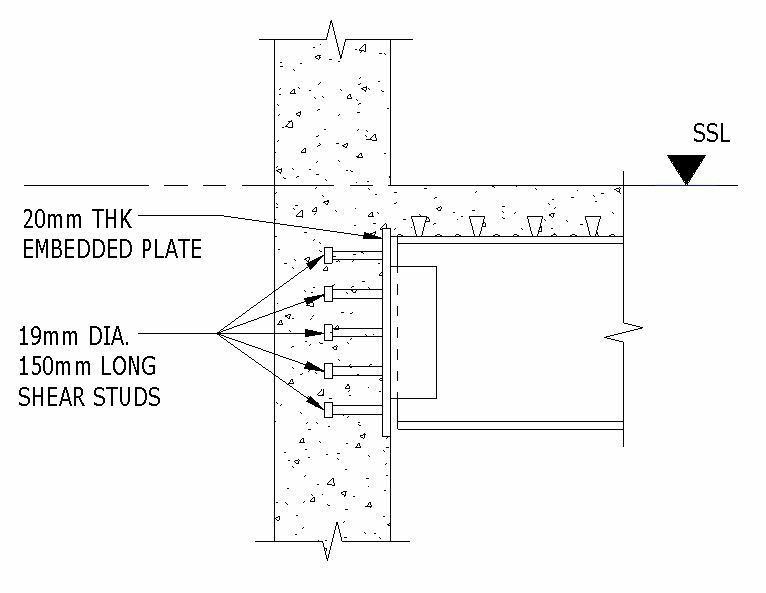 I’m a bit busy at the moment, so if I find a time, I’ll create a tutorial on how I made this parametric embedment plate with parametric studs.